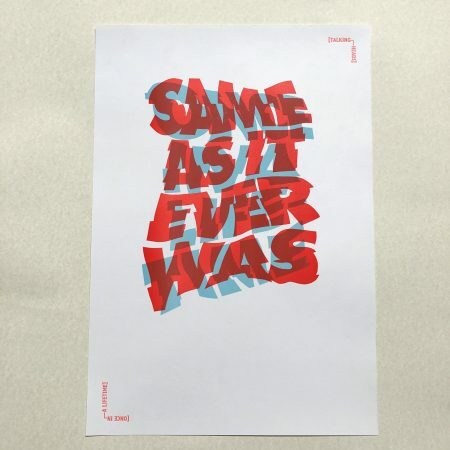 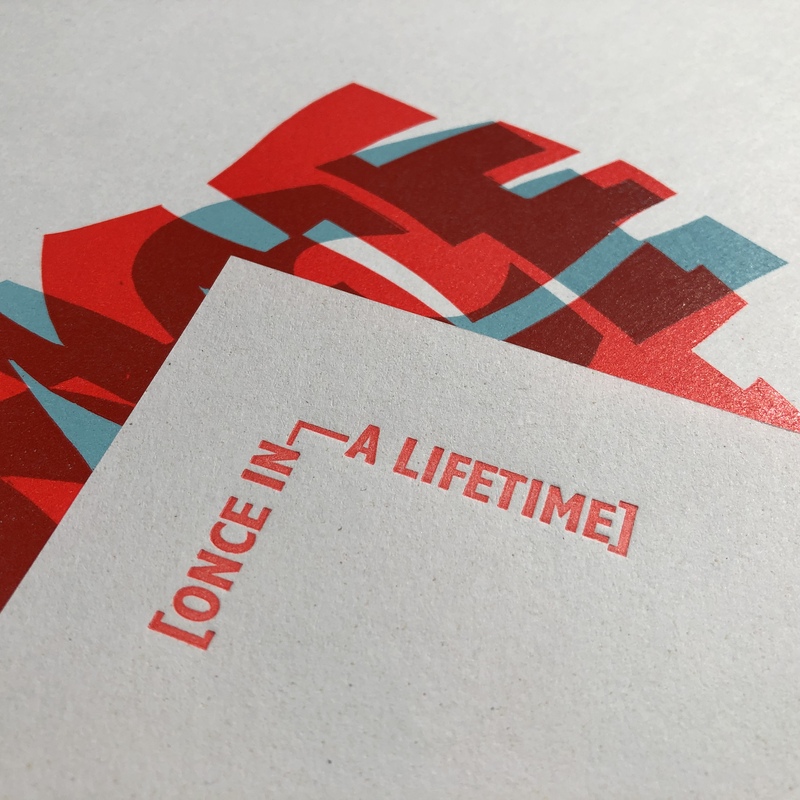 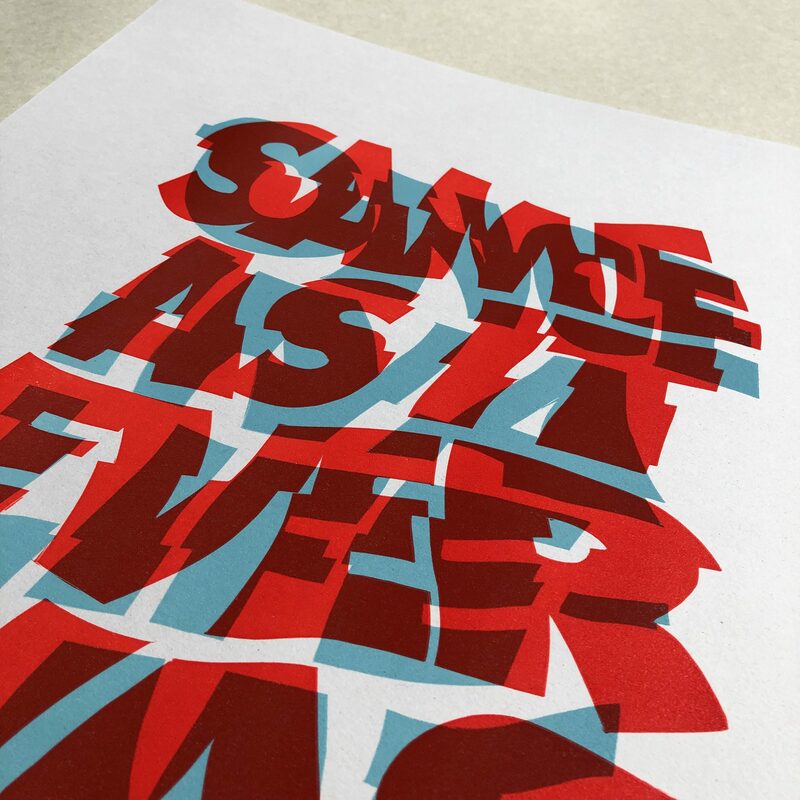 Same As It Ever Was is a letterpress printed lino-cut inspired by the outro from the Talking Heads classic Once in a Lifetime. 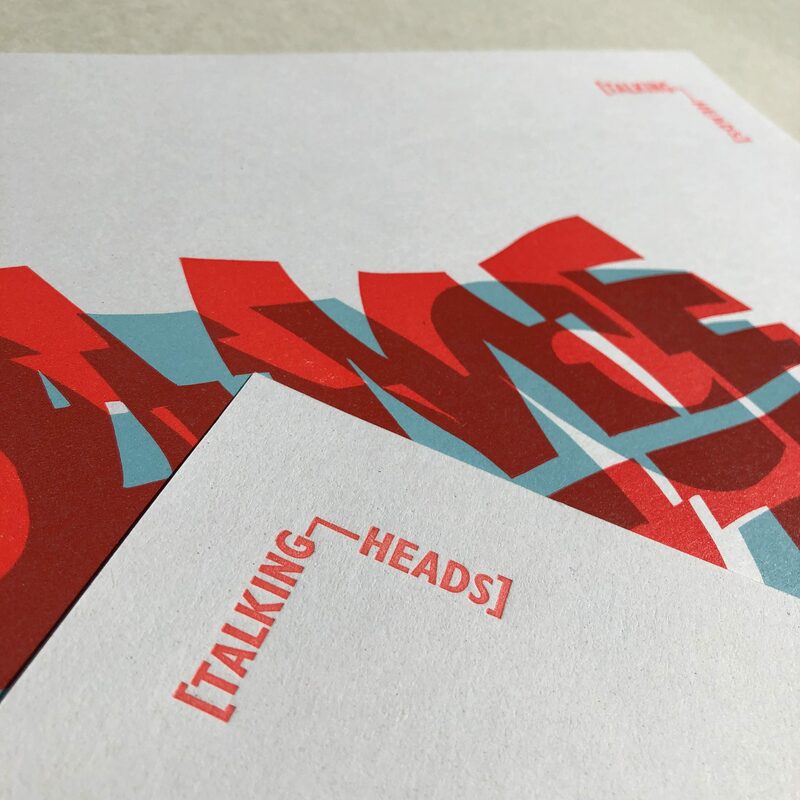 It’s an exploration of how David Byrne layers those two contrasting phrases and blends them into a much broader concept, and an exercise in letting random interactions do some of the storytelling. 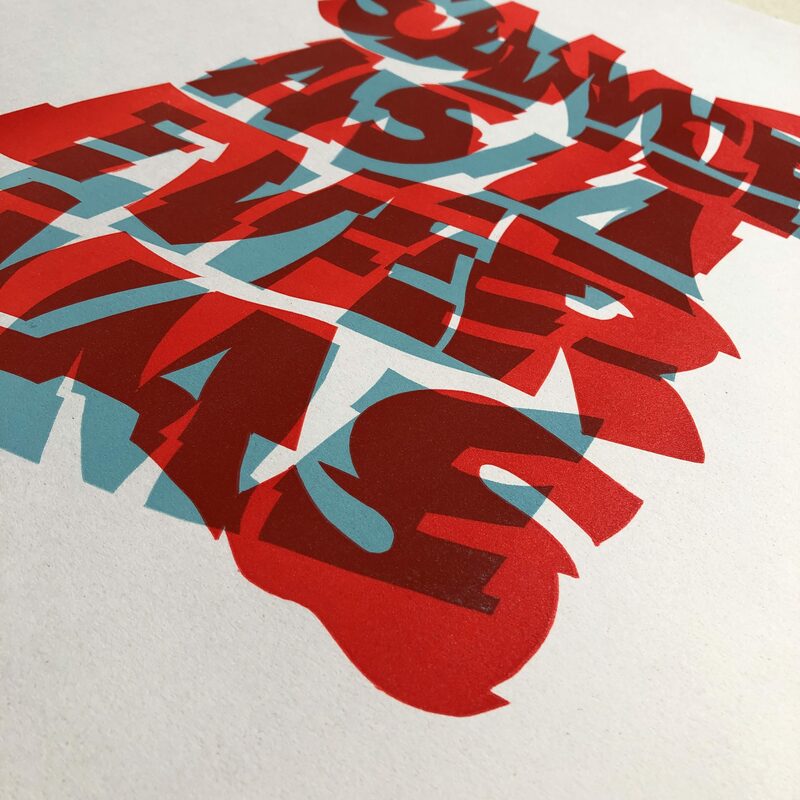 Printed on 300 Gsm Favini Crush stock.